Introducing the first-ever uniform organizer. You'll wonder how you ever managed without it. This is a must-have item for any cheerleader. It keeps your uniform organized, snag and wrinkle free and will fit perfectly in your Nfinity backpack laptop sleeve! 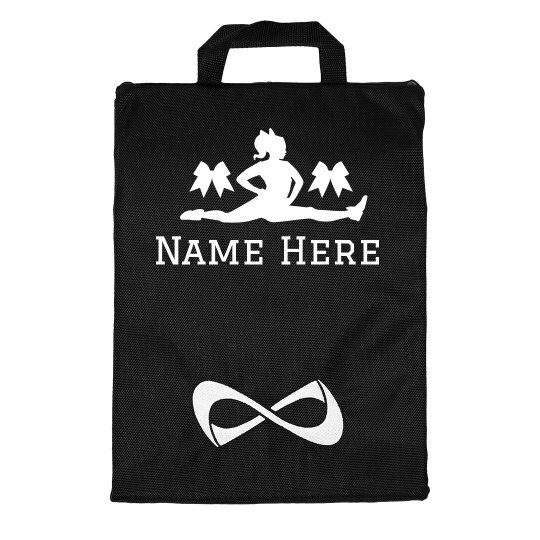 Customize a cool Nfinity bag to carry your cheerleading uniform in. Add your own text to personalize it for your squad! This awesome uniformer bag will be perfect for away competitions and conventions.